Excuses, excuses….I can’t do a Bible study with women in my neighborhood! I certainly can’t do one in Traverse City this summer! That’s my time to read all the books I can’t get to the rest of the year. I have company all the time. I only teach children! What if these women ask me something I don’t know? Most of the people come and go during the summer so they won’t be consistent. I kept seeing the need and making more excuses. The simple truth was I didn’t want to give up my time in the summer. I had asked God repeatedly, “What should I do?” And I couldn’t shake the words I had told the children all year in MOPS (Mothers of Preschoolers) that we were about to "GO TELL THE GOOD NEWS" But I didn't want to go and tell! Summer quickly came. No more excuses! I printed out two copies of an invitation to come to Bible study on Friday morning. After arriving in Traverse City, I hung the invitations on the two mail stations and went prayer walking around the condo community. I decided on a no frills study. One hour. Timed. People are in Traverse City for vacations. The simple, one-hour strategy worked amazingly well. Before the Bible study even started, I had a neighbor man stop me in the parking lot. We talked about Jesus for over an hour and a half. Another person on the beach had a few questions for me after asking if I was the Bible lady with the note on the mailboxes. A lady stopped me when I was swimming and asked if she could talk about a passage in the Bible that was bothering her. God helped me through each of these conversations so I figured He would also be with me on Friday during our first class. Eight women showed up on that first Friday. One quickly told me she thought it would be more of a book club. Since she was only interested in studying the Bible for its literary value, she left. Like Paul says, some believe and some don’t. I still pray for her. So we began with seven of us. Then we had a visitor from Kansas and others came when they could. During the first weeks, there were three women who also met with me on Saturdays. They needed extra help finding the passages and understanding them. They needed background to the stories. They had little to no Bible knowledge. I used concepts from my children’s lessons to explain ideas like the Trinity. I showed them how to maneuver through the Bible. I would send them emails and texts to explain things I thought might be confusing. There were so many highlights to thank God for though the summer. 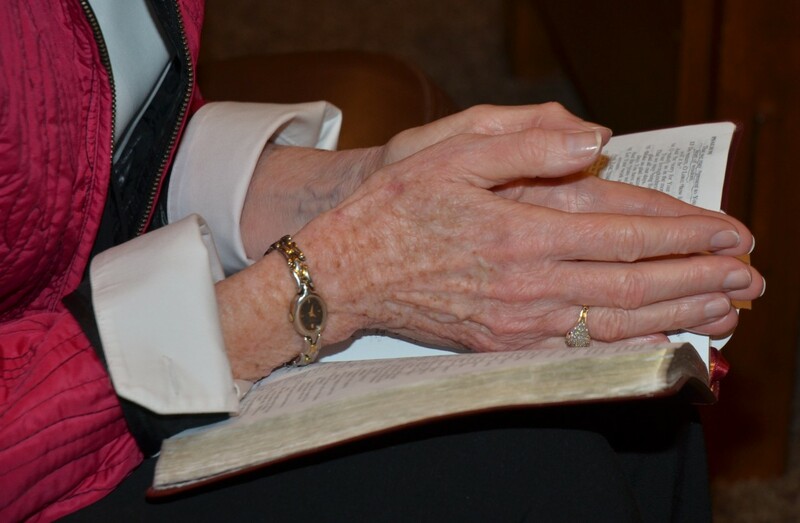 One lady no longer prays to Mary after studying how we can talk to God. Another woman read her Bible for the first time. We were able to help one visitor find a church to attend when she got back to Kansas. Another lonely woman came just to be with a group and she heard the Gospel through God’s Word! One lady heard about obedience in the study and wanted to know if she could ask forgiveness before she sinned. I told her “No”. Summer ended. There was so much growth in knowing Jesus, in the hearts of the women, and in friendships. Some wanted to know how we could continue this from afar. Easy! By email and texting and with a few face-time chats we could continue to do the Bible study. Through the next year we were able to cover many subjects and ways to navigate to other passages that cleared up confusion of our passage in the Bible. We explored using different translations with a Bible app. One of the women never missed a single day. That kept me doing my study every day too! It is hard to believe another summer has come and gone with even more opportunities to share the Gospel and walk alongside women eager to understand God’s Word. When I put two simple invitations on the wall in the mailroom of my condo in Traverse City, I had no idea the ministry that God would unfold. No more excuses for me! "They threw me to the animals. No one wanted me." Amen! Thanks for the encouragement! Thank you for sharing your story and encouraging me to start a neighborhood bible study.